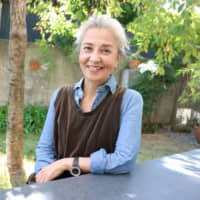 When in-demand mature-age model Anna Yuki reached her personal “do or dye” moment, she chose gray hair over the color bottle, and graceful aging over the pursuit of youth. “No more highlighting and disguising the gray hair,” Yuki says from the backyard of her Tokyo home. To the silver foxette who started modeling as a 15-year-old, the fact that she still gets work in the youth-dominated industry at the age of 63 is more surprising than the trend that sees young Japanese men and women prematurely dyeing their hair shades of gray. It may be an emotional topic, but like many of her famously gray Hollywood counterparts, Yuki is open about her love for natural hair color and what it symbolizes. “I think it’s a global trend,” she says. “We may have gray hair but we’re still women. We want the world to know we exist. I don’t understand why it has to become a trend for us to be accepted, but it’s positive to see people accepting themselves. Since ancient times, people have tried to mask gray hair by turning to methods like coloring and henna. Yuki was no exception. But one day, after decades of dyeing, she asked herself: Why am I doing this? Yuki, whose father is Japanese and mother is from Sweden, moved to Japan in her mid-teens with her family. Her happy-go-lucky and outspoken nature may be partly due to her dual ethnicity, but Yuki draws her identity from diversity. “I’m Japanese-Swedish. I’m not one or the other, but two in one. I received American education (in Tokyo) so there’s a mix of American in me too. I’m not from one single place,” she says. Yuki was in her late 30s when she spotted her first few strands of gray, and admits it wasn’t a welcome sight. By the time she got to her mid-40s, she was tired of spending precious hours and bags of money at salons. It occurred to Yuki that dyed hair didn’t suit her facial features. She would wear clothes that matched her hair color, so everything started looking fake and unnatural. Instead of seeking a remedy, she found the silver lining. People are embracing gray for different reasons — because they’re brave, they’re rebellious, sick of the toxins in hair dye or tired of fighting the regrowth by panicking, plucking or rushing to the drugstore. 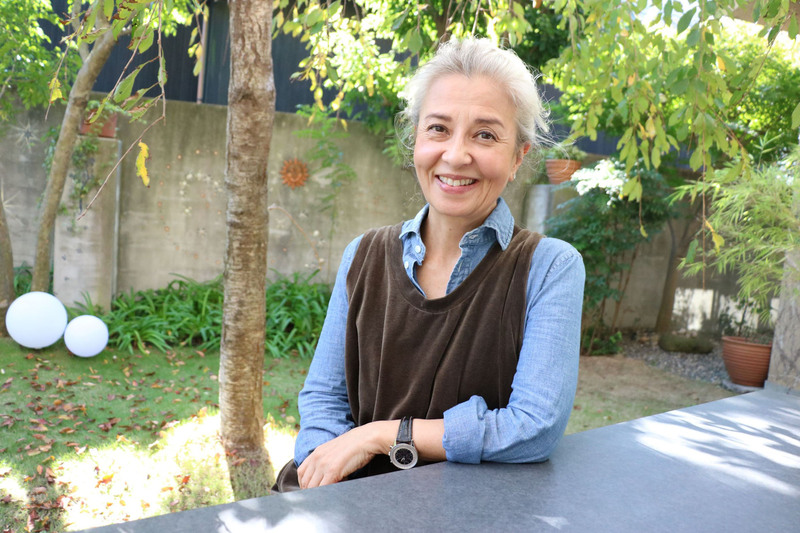 Despite gray hair still being considered taboo for Japanese women, especially in business and for those under 60, Yuki is not giving in to the pressure to conform. She is embracing life as it comes — wrinkles, gray hair and all. In the past 20 years since her hair color transformation, Yuki has used the time she would have dedicated to a revolving salon chair for higher purposes — looking and acting her own age. And the good news is her husband, Koichi Iwaki, is fond of her newly silver hair, the actor and racing car driver himself leaning into the salt-and-pepper look, which has only added to his allure. “We got lucky in that our hair turned gray about the same time. We looked good together as a couple,” she says. It may now be acceptable, or even desirable, for a woman to sport gray hair, but how did the trend start? It wasn’t just her husband but the media and beauty bloggers who welcomed her aesthetic choice. Gray hair has recently become a talking point, with celebrities like Ariana Grande and Lady Gaga showing off platinum locks. As well as being an author of books on slow living and how to live ethically, Yuki is also a social media influencer. She shows her 34,000 Instagram followers how to look effortlessly chic in such a way that makes them want to jump on the bandwagon. As in other countries, but particularly in Japan, women turn to conservative fashion as they age, but Yuki acts as a gray hair ambassador, showing the world that your lifestyle doesn’t have to be dictated by age. We can be governed instead by values. Welcome rather than dread the aging process, Yuki suggests. To her, graying is just a friendly reminder that you’re aging like fine wine. It’s not a sign that you have given up. She jokes that her deteriorating eyesight means, as far as she is concerned, that she has no bad hair days. Today, she has unshackled herself from the color bottles and never-ending salon appointments, only making trips to the hairdresser once or twice a year. Along with Iwaki, she lives in a luxury home with a manicured yard and a newly adopted rescue dog. 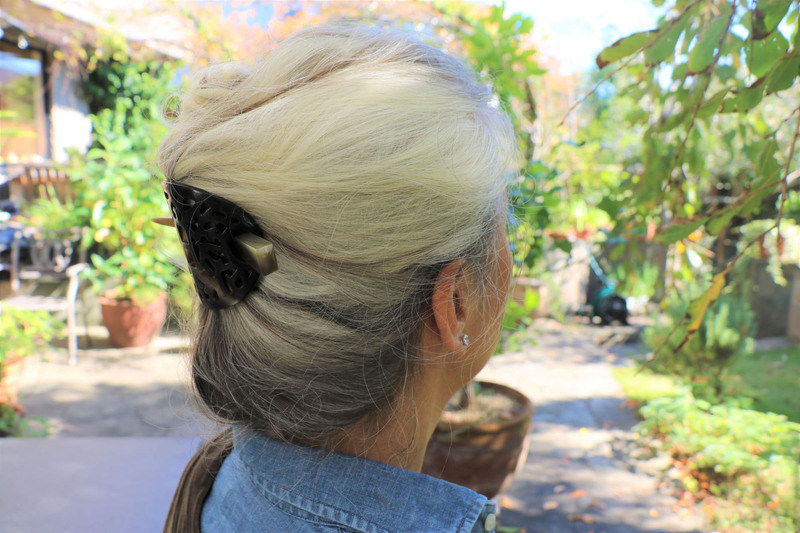 She hasn’t embarked on a gray hair revolution. She has gathered strength and wisdom over the years, and no longer fears aging nor the grayness that comes with it. It may not be the most popular choice, but one that was right for her. Check out Anna Yuki on Instagram at: @ayukihouse.